We review Album #62 of Adventures in Odyssey titled "Let's Put On A Show!" in this episode of the show. Be aware that this episode contains spoilers! 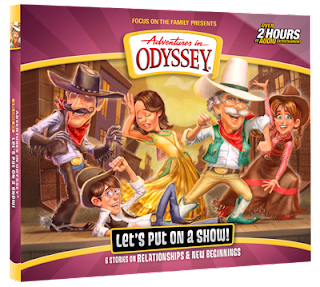 Roy played hooky today so JD and Andrew are joined by Andrew's wife, Rebecca to help us talk Odyssey. 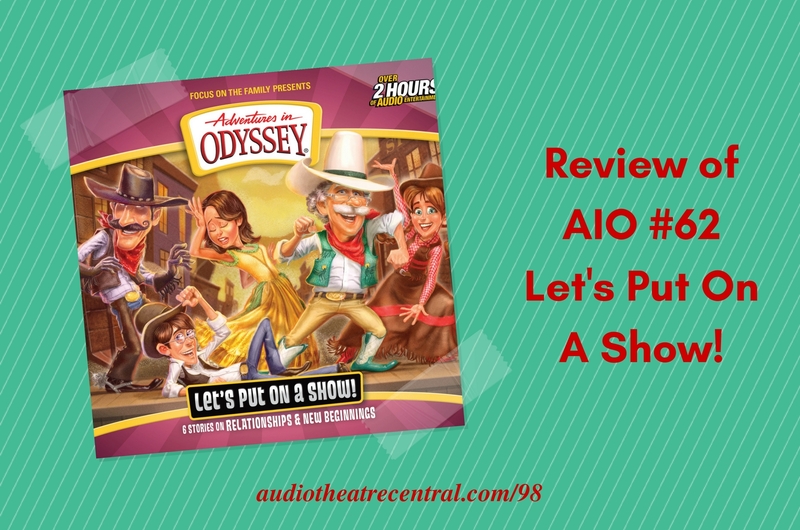 We also have a few tidbits to share including a fun piece of audio that Austin Peachey produced called "You Might be An Odyssey Fan If..." The newscaster duties are handled by Andrew and we respond to some feedback from Amber and Angela. Book 2 of The Blackgaard Chronicles has been announced. The second book in this latest AIO book series will once again be written by Phil Lollar and will be called Pawn’s Play. Heirloom Audio recently received 12 nominations for the 2017 Voice Arts Awards for The Cat of Bubastes and In The Reign of Terror. 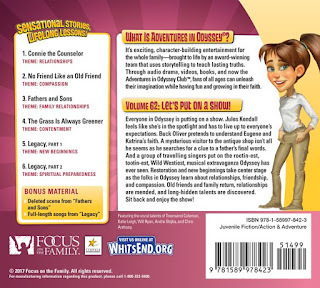 Adventures in Odyssey #62 "Let's Put on a Show!" Purchase Album #62 on Amazon, iTunes or CBD. 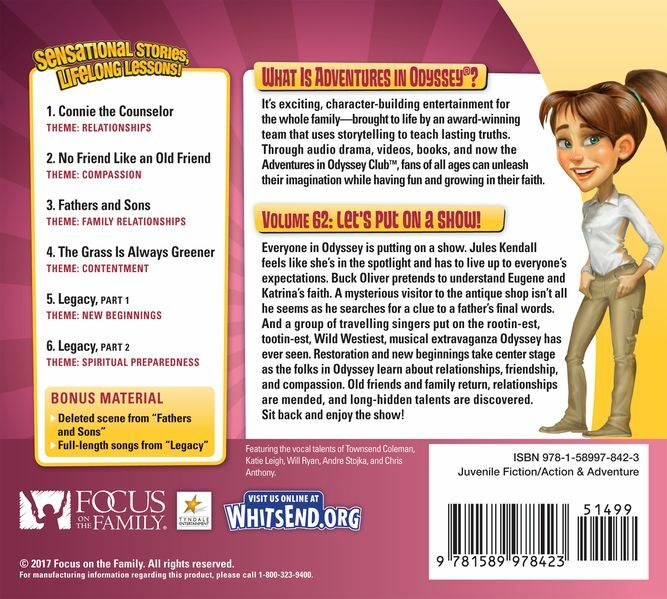 New ATC listener Angela T. has some feedback on Heirloom Audio's adaptations of the Henty books. She also had praise for the LU audio drama The Encounter which we mentioned last episode. Amber W. asks about getting notifications of ATC blog posts and podcast episodes. Check out The Encounter! New episodes start this month. Austin Peachey’s "You Might Be An Odyssey Fan If…"
Rebecca recorded our show credits for this episode. Script: "Hi! This is [YOUR NAME] from [YOUR CITY OR STATE]. Audio Theatre Central is a production of Porchlight Family Media. The theme music was composed by Sam Avendaño. The show is produced and edited by J.D. Sutter. Find the website at audiotheatrecentral.com."